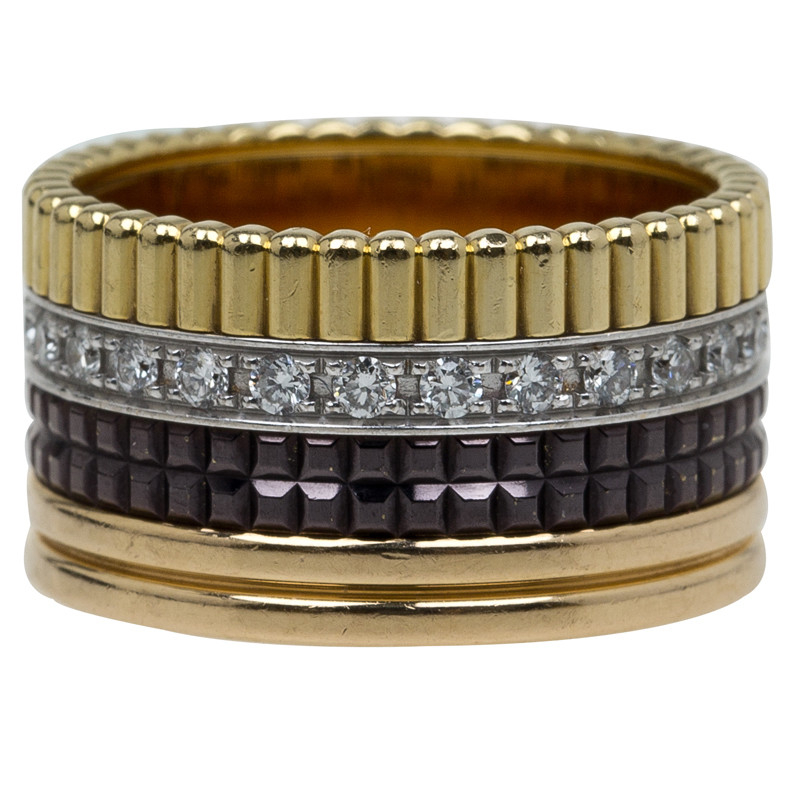 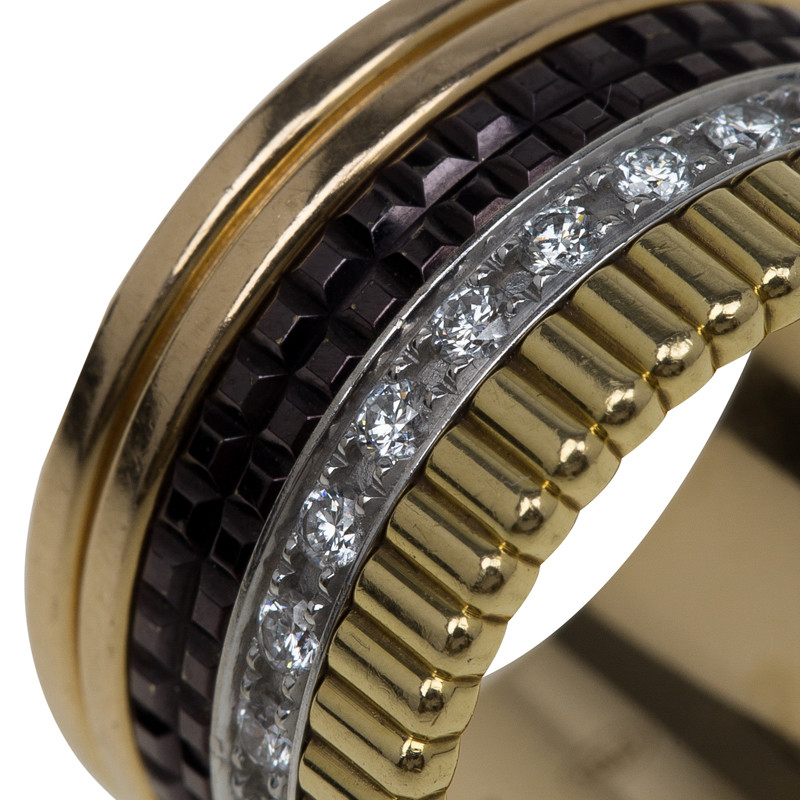 This beautifully crafted ring from is carved from 18K gold in three tones and black ceramic. 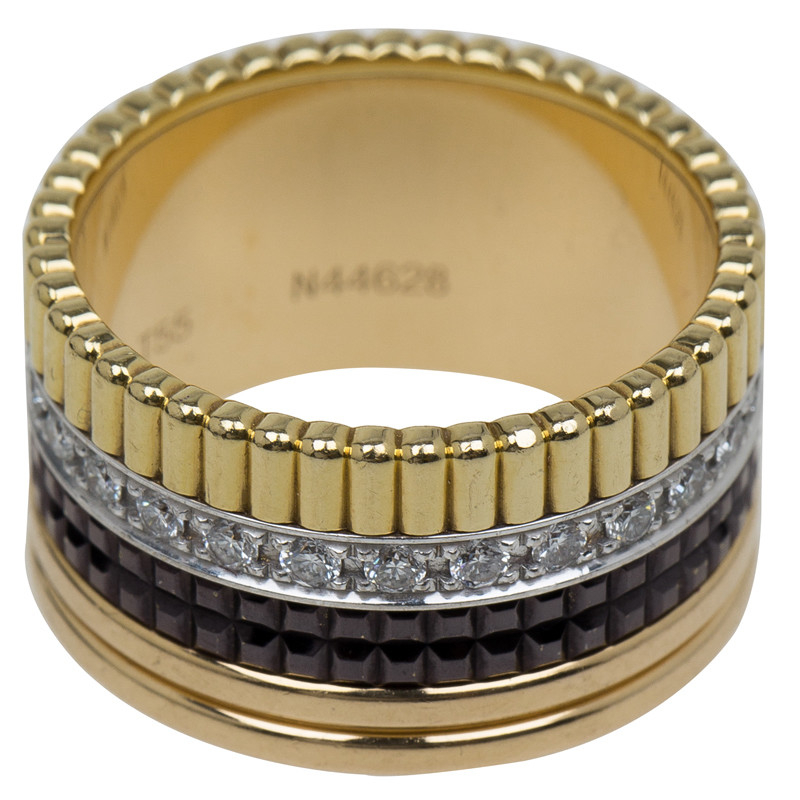 Embellished with diamonds, the ring features brand inscription on the back. 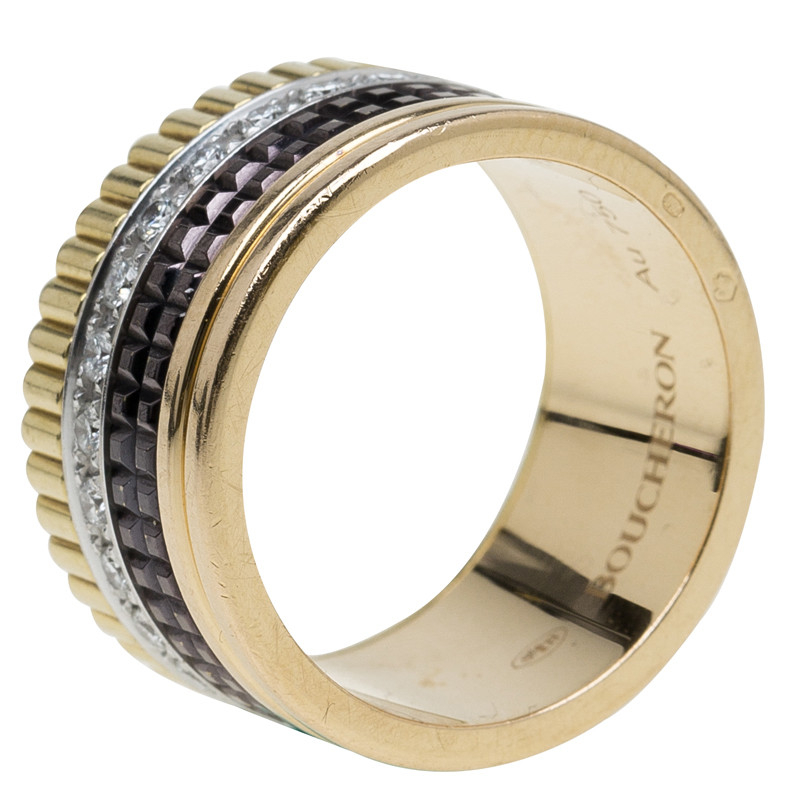 Question 2: Does it come with original brand box?